More information is available on the AIC website. 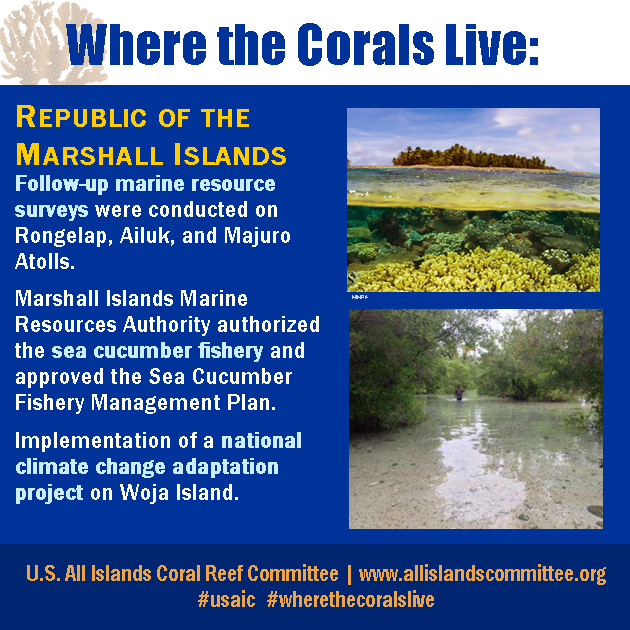 Updates were provided to the U.S. Coral Reef Task Force at the 32nd USCRTF meeting in September 2014. A copy of the full report is available here.